We had the best family day on Saturday the 5th. Took a ton of pictures, and it will probably take me all week to post them all. I still have one more quilt from the quilt show to post, but it will have to wait for another day. Before we even got to Rosario Beach on Fidalgo Island near Anacortes, Washington, we stopped by the Snow Goose Produce stand on the backroads between Conway and LaConner in Northwest Washington state. What treasures and treats there were. I am only posting a few tonight. 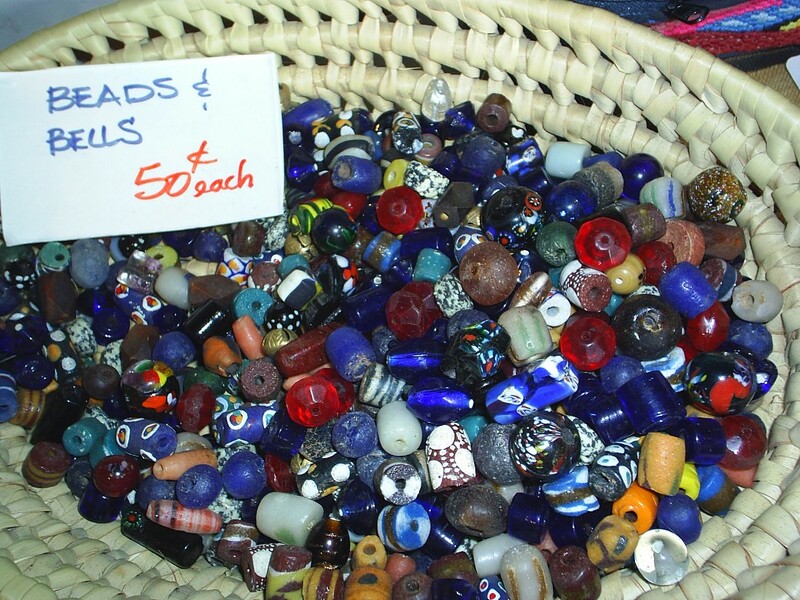 Beads and Bells from Africa. How could I only choose 5 dollars worth?? I had to budget somewhere. Later I will show you what I chose in another post. Baskets from Africa too. What a colorful display!? Did I mention a budget? Well this one begged to come with us, and I couldn’t resist. Actually all Linda (the lovely Basket model pictured) has to do is say “I do like it”, and I will buy it, budget or not. 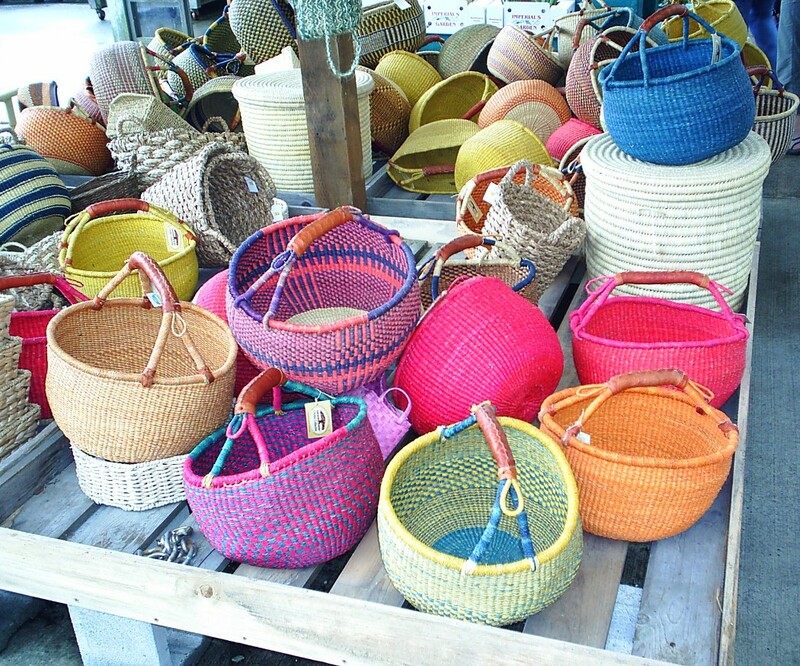 They are cool baskets, and I could fill them all up with fabric! But only one could come home! And the last shot from our 1st destination the Rosario Beach. 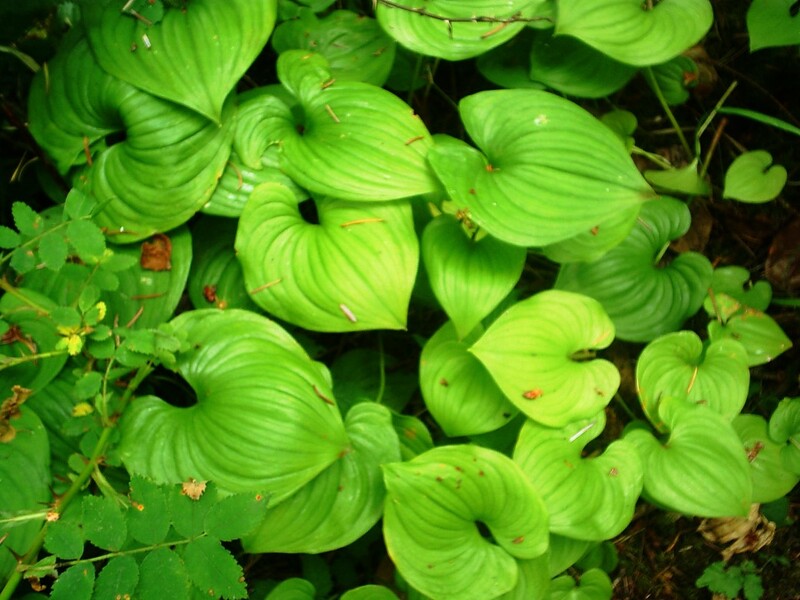 These Trillium leaves are stunning even without their spring white flowers. The scupltural feel is to me quite refreshing, and SO GREEN! They are a delicate plant, I think, and not super common in these parts. I wish we had them in our woodlot! sigh! So thought I got no sewing done tonight, I hope you enjoyed this post! I am hoping to sew some more soon, so you may have to wait awhile for a post, but I have a TON of photos to post so get ready!